Consolidated-Tomoka Land Company is a Florida-based publicly traded real estate company, which owns a portfolio of income investments in diversified markets in the United States, including more than 1.9 million square feet of income properties, as well as approximately 8,200 acres of land in the Daytona Beach area. 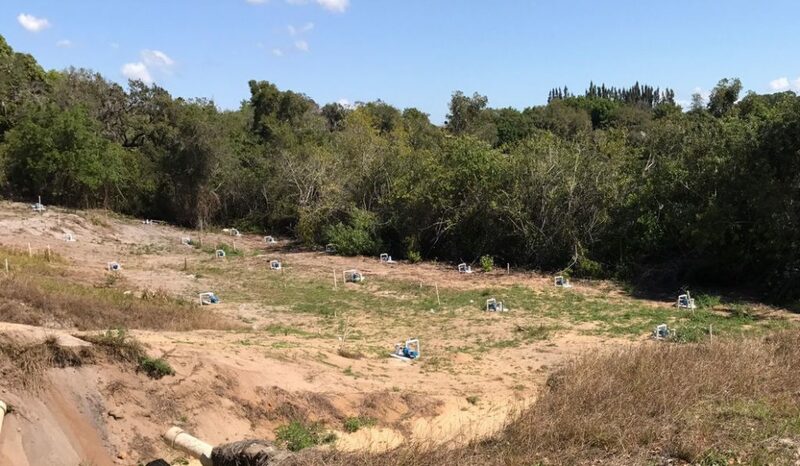 Years lubricating oil and diesel fuel discharges at a citrus grove pumphouse in Central Florida resulted in impact to soil and groundwater. Soil excavation, air sparging, and monitored natural attenuation, all performed by others, failed to remediate the site, and plume migration into a nearby lake necessitated action. HSA Golden was contracted to review previous work, perform additional testing, and design and implement remedial measures to achieve No Further Action status. Drill deep soil borings to properly characterize site geology. Install 25 additional monitoring wells and collect/chemically analyze groundwater samples from all 38 wells at the site. 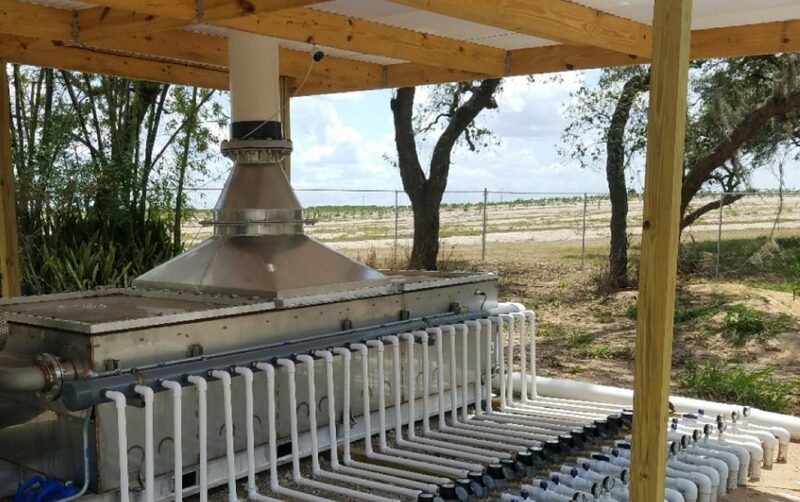 Perform eight-hour pumping test to calculate aquifer transmissivity. Design pump-and-treat system, using MODFLOW, to demonstrate plume capture and prevent plume migration into downgradient lake. Install, operate, and monitor system performance. Groundwater flow modeling showed 25 recovery wells, in four rows, would best capture the contaminant plume. System total combined pumping rate is 200 gallons per minute. Treatment consisted of aeration only, with discharge to a settling basin to precipitate iron, and then to two open infiltration galleries. Simplified treatment design minimized maintenance requirements. Aggressive groundwater treatment is expected to result in relatively short-term remediation time frame (under two years).